Hi Everyone! 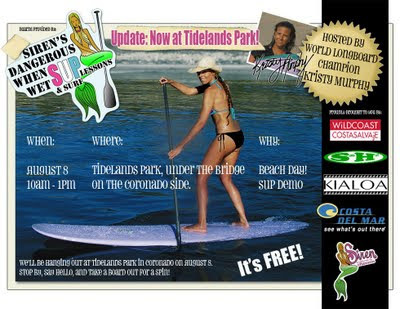 If you are in the area, please come out this Saturday, Aug.8, to Tidelands Park in Coronado for a FREE Siren SUP demo! Tidelands Park is at the base of the Coronado Bridge on the Coronado side, look for all the moored sailboats in the bay! We will be set up right on the beach at the waters edge. 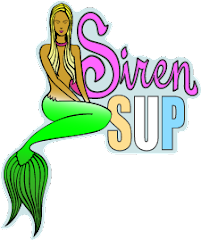 We will have the 9'0 and 11'0 Siren SUP's to try and a variety of Kialoa Paddles on hand to use. We will also be giving out some cool Costa Del Mar gear! So please come out and join us, it is going to be a fun Saturday at the park! Have a blast, your Austin fans will SUP in your honor.